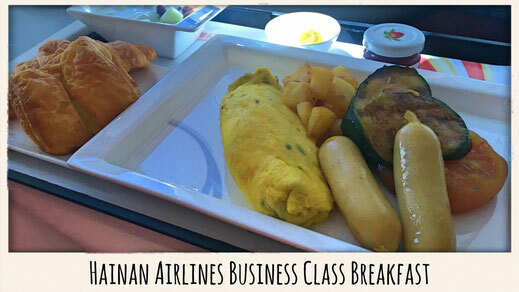 Last year I reviewed Hainan Airlines Business Class on their Airbus A330 from Beijing to Calgary. 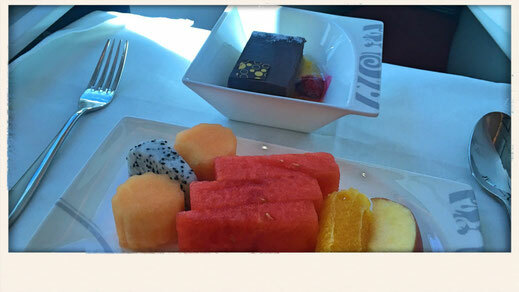 While the Business Class cabin was far away from a 5-Star airline, the service was outstanding. I still remember Cindy and Joy, who are probably the best cabin crew I ever had the pleasure flying with. 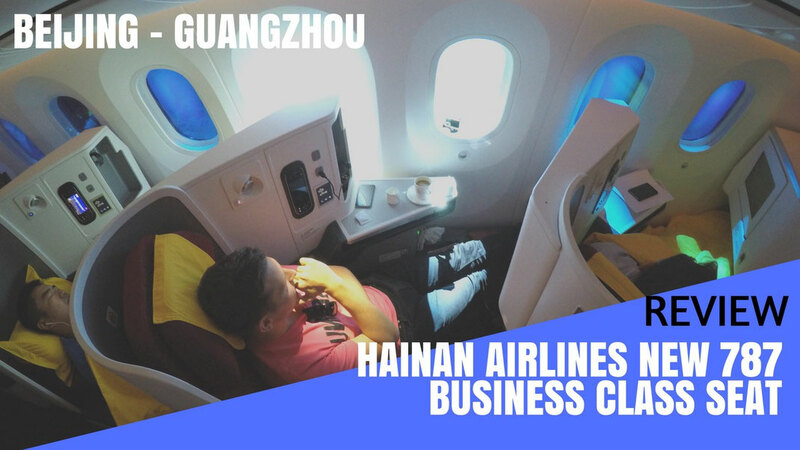 The 787 Dreamliner is the backbone of Hainan's long haul fleet and since May 2017 they are coming with a brand new Business Class cabin. 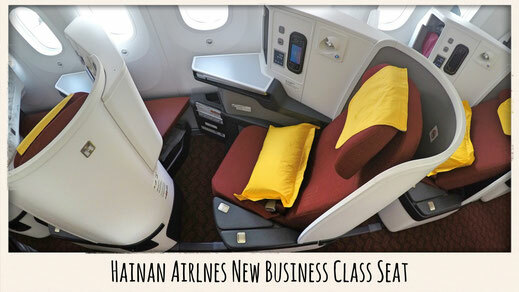 Finally Hainan Airlines upgraded it's Business Class Cabin which was long over-due. 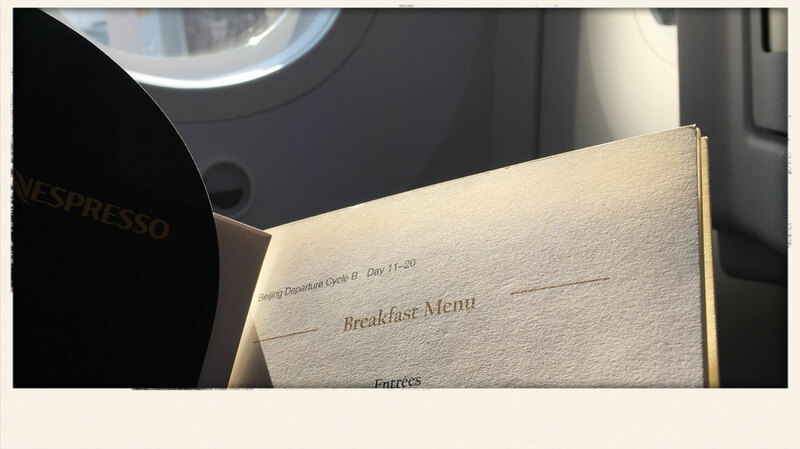 Last year the Haikou based carrier introduced a new, improved and fantastic new menu which is really good as well as the service by the crew. However, their hard product is pretty average. This is going to change now. Hainan wants to further establish itself as a 5-Star airline and now offers the reversed herringbone seat just like Qatar Airways or Cathay Pacific does. My first impression? It looks great! It comes with all the right features and makes it probably the most luxurious Business Class cabin on any mainland China airline. 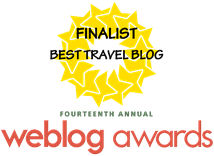 If you aren't familiar with Hainan Airlines I recommend you to read my "10 Hainan Airlines facts you should know" story. 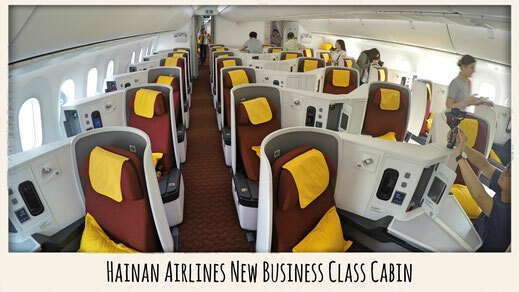 What is new on Hainan Airlines new Dreamliner? Reversed Herringbone configured Business Class with 30 flat-bed seats. Nespresso Coffee Machine and self-service bar in Business Class. 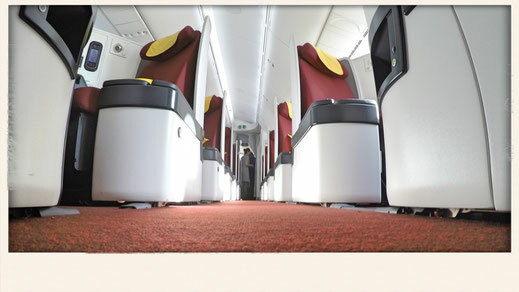 262 Seats in Economy Class with personal entertainment system, USD slot and 'Seat Chat' function at each seat. WiFi is now also available for free. It goes through a Chinese Server though so Facebook, Twitter and other media are blocked. Duty Free Shopping is now possible through the personal entertainment screen in front of you. 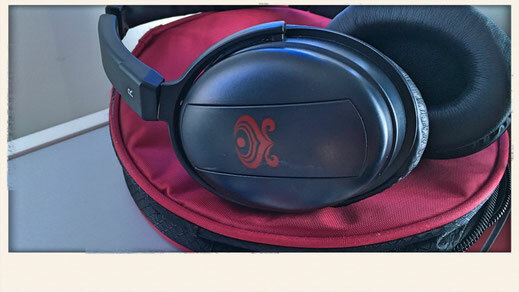 New Seat Chat, Improved Entertainment, Average Service. The entertainment system has also been upgraded a bit and offers a nice variety of movies such as the new Star Wars Rogue One or Manchester by the Sea. Also a good range of Chinese movies as well as comedy and documentaries. Whenever you don't use the screen in front of you, you can just tuck it away, which is a cool feature. Now you can also use the new 'Seat Chat' function. You can literally chat with anyone on the flight as long as you know their seat number. There are also topic related 'Chat Rooms' - just as you know them from back in the days! The service this time was a bit underwhelming though. The most memorable thing about flying Hainan Airlines was the fantastic crew but on this particular flight the crew was a bit of a let down. I ordered coffee twice, which has never arrived and also the crew lacked a bit of passion. 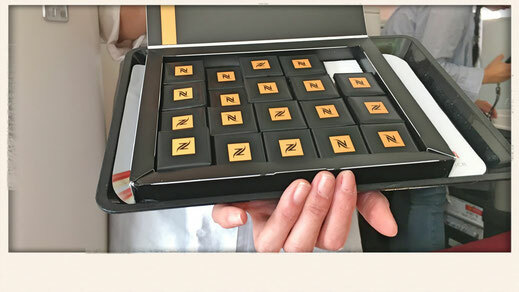 As a passionate coffee drinker I was delighted to hear that Hainan has an original Nespresso Coffee machine onboard. 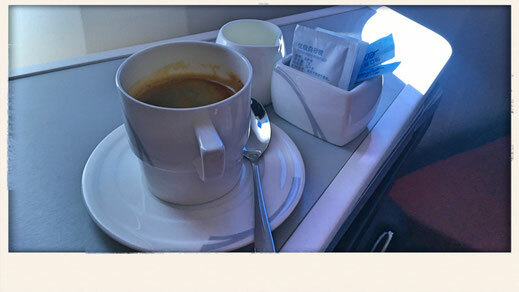 Just a few days ago I was once again reminded on my flight with China Eastern Airlines how much of a difference it can make if you drink bad coffee. 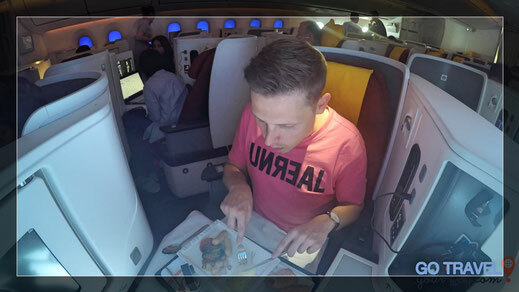 However, I'm sure this is something everybody will appreciate if you get to fly the new Business Class. The breakfast was solid but nothing extraordinary. I was served a cheese omelette with chicken sausage, grilled tomato, zucchini and potato. With a yogurt on the side. Once I was finished I was offered fresh fruits which were also ok. I had a coffee with it which was excellent, thanks to Nespresso I'd say. 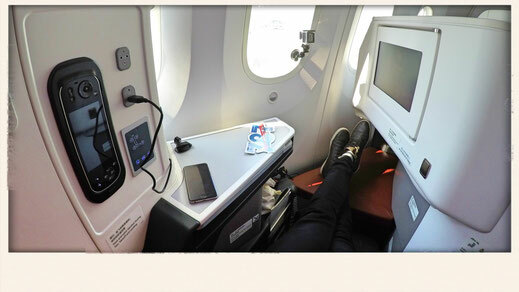 The Chinese Airline is finally stepping up its game and the new cabin is definitely a major improvement. The flat-bed seat is innovative and super comfortable. Also the new Nespresso coffee machine is a great addition to the entire experience. 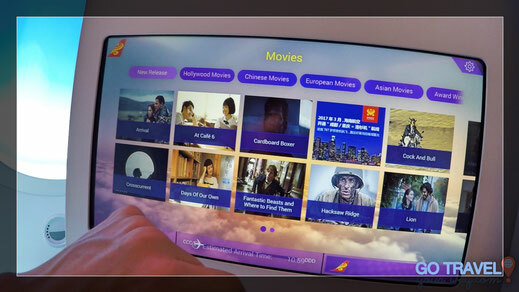 The entertainment options are solid and overall the hard product is what you want to see on a 5-Star airline. The service in particular wasn't outstanding, rather average, and I guess this is where I would love to see the airline improve. It's the simple things they neglect, such as a genuine smile or a nice welcome. I tried to get another coffee twice but I'm still waiting for it to arrive. 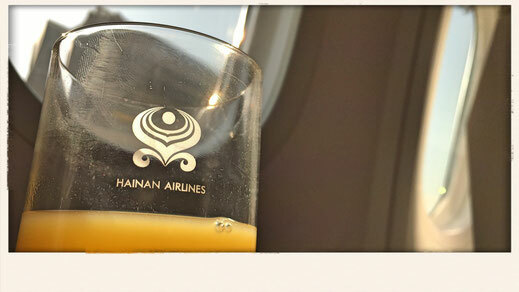 Anyways, on my previous Hainan flight to Calgary the Cabin Crew was one of the best I have ever flown with.